Elizabeth City, NC– Elizabeth City mothers spend a great deal of time in the car, shuttling children, running errands and commuting. Nine out of 10 Moms drive… somewhere. 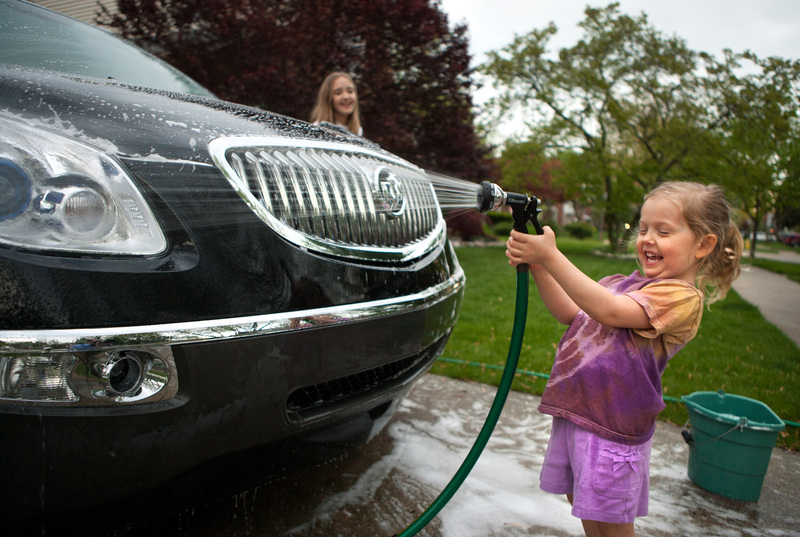 A national online survey conducted by Harris Interactive® for General Motors found that one in three Moms with mess makers, er, kids under 18, would like their car washed and cleaned as a Mother’s Day gift. More than one in five (21 percent) would like a family road trip for Mother’s Day. The survey didn’t indicate whether Mom wanted to do the driving. Give her some gas. Just one in 10 Moms mentioned this in the survey, but a fill-up could be a nice surprise anyway – one less thing for her to do. A little fresh air. After the car wash and vacuuming, spend an extra $3 or so for an air freshener. But choose wisely on the scent. Some peace of mind. Another gift for Mom’s vehicle is OnStar FMV, the aftermarket replacement mirror packed with OnStar’s core safety, security and connectivity services like Turn-by-Turn directions. The hardware and installation is now just $99.99 (through June 16) and subscription plans cost $199 per year for the base package or $299 per year for the premium package. FMV is compatible with more than 100 million vehicles on the road. And don’t forget a card. Leave it on the front seat of her car. And if it’s not a singing card, you can surprise Mom by downloading some of her favorite music or making a custom CD to help her enjoy the drive. Performance Chevrolet is proud to serve the auto dealership needs of cities such as Elizabeth City, Edenton, Hertford, Currituck, Nags Head, Kitty Hawk, Moyock, South Mills, Camden, Williamston, Ahoskie, Chesapeake, Columbia, Shiloh, Virginia Beach, Norfolk and counties that include Dare, Chowan, Perquimans and Pasquotank in North Carolina and Virginia. We provide exceptional customer service, a warm and friendly environment, auto financing options to fit your budget, and an inventory of great new and used cars, trucks, SUV’s and crossovers. Our ASE Certified Service Technicians at the Performance Chevrolet Service Center service and repair all makes and models both foreign and domestic. Call us at (252) 338-9100 or stop in at 1005 W. Ehringhaus St, Elizabeth City, NC, 27909 and check out our great GM inventory.